New details have emerged online for Fallout 76, the new entry in the series launching soon on PC and consoles in all regions. A few hours ago, the Fallout Official Twitter profile revealed some additional details on how XP will be divided within a team when an enemy is killed. The corpse can be looted by all players, and we already know that players will be getting different loot, as it will be instanced. Every team member who assists in killing an enemy (successfully lands a blow, shot, etc.) gets XP. 🏆The team member to land the fatal blow gets slightly more XP. 🎁Anyone can loot an enemy corpse after it’s been killed, regardless of who killed it. Pete Hines also confirmed some additional details on the sleeping mechanics. Apparently, sleeping will bring some bonuses for characters when they are rested. 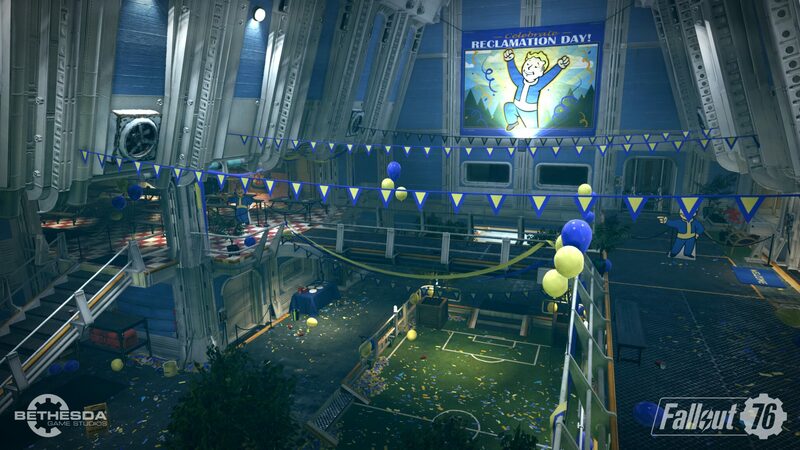 Some more Fallout 76 details have emerged online earlier this month, thanks to Game Informer. Despite being different in some aspects from previous entries in the series, Fallout 76 will still be driven by quests.